3 years ago I had a vasectomy. 3 to 4 months after the surgery, I noticed a lack of energy, stamina in bed, and a lack of strong erections. 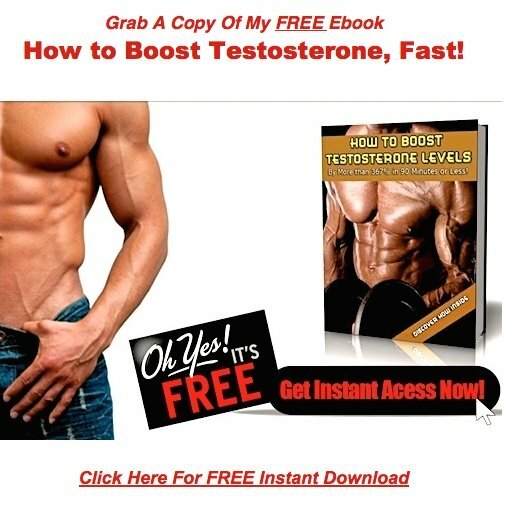 I am 39 years old, exercise 5/6 days a week and currently have a 368 testosterone level, that the doctors say is normal. He also says that my problems are completely natural. HDL's and LDL's are in great shape. Will your program work for me in this type of situation? Before we begin, I have to say, that a testosterone level of 368 in a 39 year old male, is not normal. Just because your doctor sees sick, overweight, unhealthy men, more often than he sees healthy ones, does not mean that sick, overweight, and unhealthy is normal. Your primary goal in life, needs to be to get out of the bottom of the reference range. Right now, you're at the low end of the testosterone scale. Right in there with 80 year old men, the morbidly obese, the sick, and the infirm. In your current state, you're not hitting your potential in life, not even close. It's not possible for you, because your energy is half of what it should be, your brain isn't as sharp as it was in the past, and your motivation? Let's just say that your desire to go out and conquer the world, ain't quite what it used to be. You've got one hand tied behind your back. When you let doctor man get a hold of your testicles, you took a big gamble, and now, 3 years later, you found that you've lost the bet. Men who undergo vasectomy surgery, enter male menopause WAY ahead of schedule. This explains your lack of energy, and stamina in bed, your poor erections, and your testosterone level of only 368. In an ideal world, you'd walk right back into the doc's office, and have him do damage control. In other words, do a vasectomy reversal procedure. If I were in your shoes, that's exactly what I'd do. 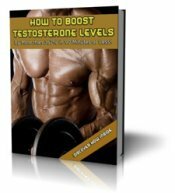 Whether you do the reversal or not, you still need to take steps to get your testosterone levels back into the upper range.